Cold corrosion is a phenomenon that impacts especially the operation of latest model two-stroke marine engines that run on heavy fuel oil and are designed to meet the latest emission and Energy Efficiency Design Index (EEDI) criteria. While having positive efficiency benefits, latest engine development have led to increased acid stress in the cylinder which results in cold corrosion. Condition monitoring experts at CM Technologies have conducted extensive research into the problem of cold corrosion and developed a new method enabling ship owners and operators to monitor specific levels of both metallic and corroded iron in cylinder oil. Knowing the amount of iron in the cylinder scrape down oil as well as the remaining alkalinity reserve is the essential requirement central to minimize the impact of the escalating challenge of cold corrosion. Combination of frequent onboard oil tests of BN (base number) and onboard oil tests of iron (corrosive and metallic). 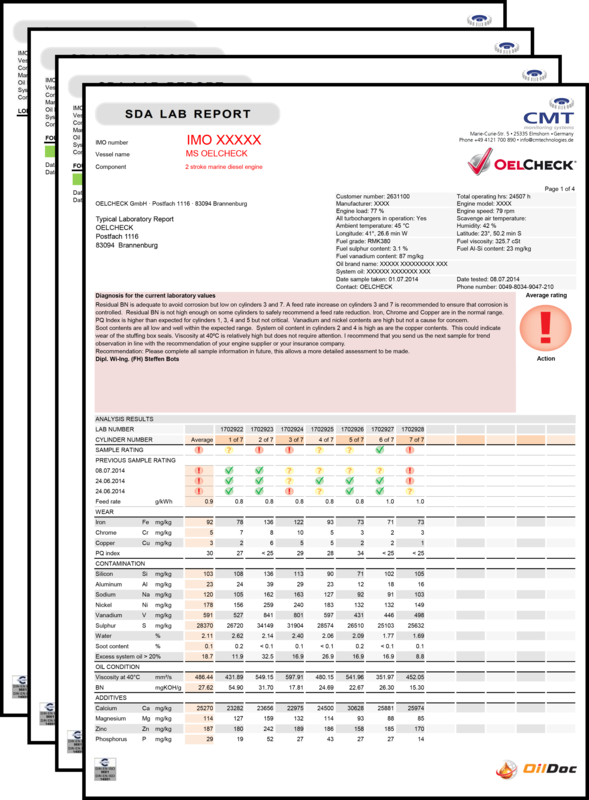 Periodical onshore independent laboratory oil tests providing a complete result about engine wear, oil contamination, oil condition and remaining additives together with a diagnostic statement from our tribology experts. By analysing scrapedown oil collected from the scavenge space shipboard personnel are able to monitor the condition of the engine’s cylinders and detect changes as they occur. CMT's Cylinder Drain Oil Service provides comprehensive laboratory testing and analysis of the oil sample, and offers onboard testing tools of the main parameters that will alert the ship’s engineers of occurring cold corrosion processes, quickly detect substantial changes in cylinder condition and to safely optimize cylinder oil feed rates. If you are interested in further Information about this product please visit our Quick Start Guide or our online product catalogue.